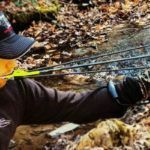 When you are out in the wilderness pursuing your favorite hobby, appropriate gear can make a big difference. 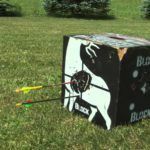 Therefore, if you are planning a hunting trip, you also need to consider a shopping trip to buy the best hunting pants. Now you may think, what is the big deal about buying a great quality pant? You probably buy hundreds of them a year. But a regular pant and a hunting pant are not similar. 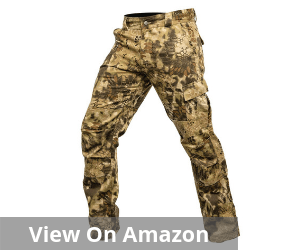 There is a world of difference in the factors that you must consider while buying these pants for hunting. When you are outdoors, the thorny bush can cut your skin, and the moisture from the long grasses can make you uncomfortable. It can also weigh down your pants. This is exactly why you need to buy pants that are not just sturdy enough to protect you from the thorny bushes but are also moisture resistant. You need to look for abrasion resistant materials that are also breathable, but water resistant at the same time. They can’t be flimsy and have to bear the rough exterior. The fit and the length of these pants also need to be tweaked as per the exteriors. The security of the pants and their storage capacity also need to be taken into consideration. Most people travel with a small backpack. In that context, a few extra pockets in your hunting pants can be a major boon. So we decided to make your search for that unique and the best pair of hunting pants a lot easier with this ready guide. This will help you choose some of the most affordable and comfortable options. Our buying guide also helps you to identify the most important factors to consider when you are shortlisting potential options. This will help you zero in on value buys with a lot more ease. 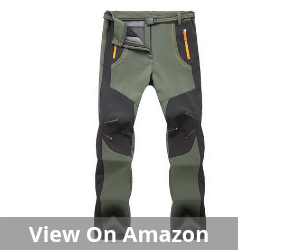 When you are looking for the best hunting pants, it is hard to ignore this one. The Kryptek Stalker is made of the unique Tek-cloth. This is a very advanced technology in fabric making that significantly enhances the durability and the drying time of the fabric. Primarily a cotton based material, it also has 40% polyester added to it. This material also offers protection against the harmful UV rays. It has 35 UPF sun protection offering you better resistance against the associated problems of continued exposure to the sun for a very long time. In terms of strength and utility too, this one is a definitive winner. Apart from the ultra-tough stitching, this is also accompanied by reinforcements strengthening the quality of the stitching. 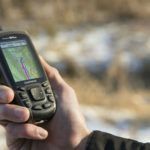 This is particularly useful when you are navigating tough terrain, and your hunting trail involves a whole lot of climbing. The fit and the overall pocket placement of these hunting pants deserve special mention. Given the wide range of sizes and the superior tailoring, your comfort is primary. Even in terms of the pocket placement in these trousers, the comfort element comes into the spotlight. Additionally, the pockets are created in a way that it maximizes the overall storage. Click here to see the best price. However, the size and the fit seem to be a point of concern for most users, and many have even returned the product due to the discrepancy in sizes. So if you are ordering it, make sure you read the size guide carefully and pay attention to the measurements. This improves the chances of getting a size closer to your actual fit. 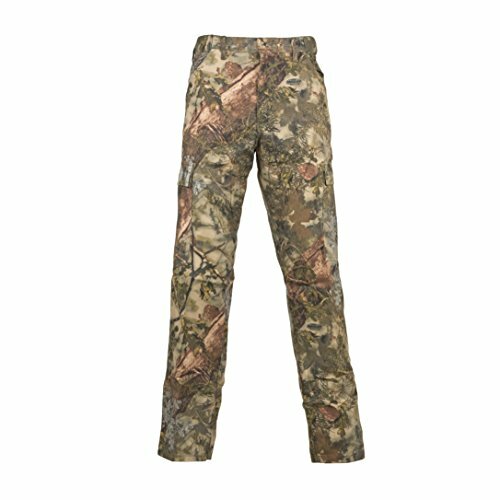 Also referred to as the Rain pant, The Frogg Toggs Pro Action is undeniably one of the best hunting pants you can settle for. It is an all-weather pants that come with an elastic waist. This means the wait is adjustable and the wearer can get just the right fit. It is practically customized as per every individual’s specific requirement. This pant is also known for designing brilliance. The design is such that, you can remain dry in practically any season, including the damp rainy days. The 4 inch back rise makes sure that this will fit properly under any type of rain jacket, irrespective of the size. That means the wearer gets the advantage of complete coverage in all kinds of season. The leg openings have a hook and loop adjustment. This means that the wearer can easily fit the pants over their rain boots comfortably. There are no sizing issues, and you can stay dry and comfortable through the year in these pants. These hunting pants are versatile. They are appropriate for all types of outdoor activities including hunting, biking, fishing, and even camping. The waterproof and the absolutely non-woven fabric ensures that you can be comfortable irrespective of the location-specific challenges. Click here to see the best price. 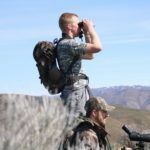 One of the most popular and amongst the best hunting pants, the TBMPOY hunting pants exude understated class and offers a durable alternative for your outdoor trips. Decidedly comfortable, flexible and waterproof, these pants can bring an all-new dimension of comfort to you. The surface layer of these pants is made of soft polyester making them both comfortable and waterproof. As a result, it is also a lightweight variant that can keep you dry and warm even in cold weather. It comes with a stretchy waist, and that surely helps in a better fit and appropriate adjustments for users. These pants are designed in a practical fashion, and the simple straightforward approach guarantees maximum functionality without too many frills. It is made of quick dry material and keeps you comfortable even in damp conditions. The zippers add a layer of security and additional convenience for the wearer. It is available in fleece lined version and without it too. So, that makes these pants ideal all weather outfits. Whether it is the cold or the warm weather, you always have the most appropriate option to wear. Click here to see the best price. These convenient cargo pants of brushed twill are also frontrunners in the race for the best hunting pants. These are flexibly designed pants that are high on user comfort and optimizing the utility value of the pants. It comes with an adjustable waistband and reinforced pockets. The idea is to deliver maximum and long-lasting value to consumers for an extended period. The camo pattern and the lightweight dimension of the pant are sure winners. What however needs to be considered is whether this is enough to cut ice with the average consumers, who are both watchful and absolutely discerning. The material is a blend of cotton and polyester. So it combines the comfort of the cotton with the no shrink properties of polyester. 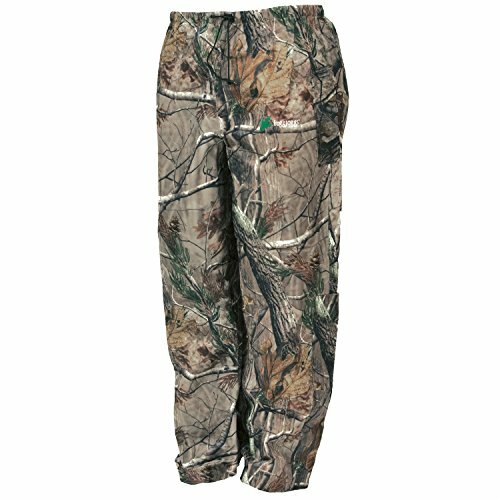 This also adds to the durability and flexibility of these hunting pants for an extended period. Comfortable feel and fit of the trouser. Click here to see the best price. The length of legs and the positioning of the crotch seams not appropriate, and this hampers the overall comfort levels a lot. 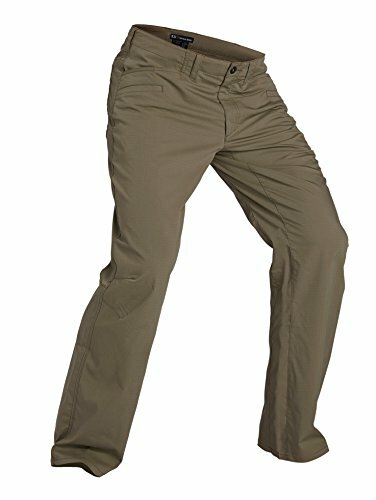 If you are looking for flexible and durable pants, these are one of the best hunting pants that you can decide to buy. 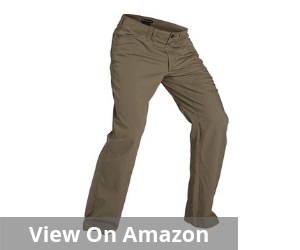 These covert pants are known for a balanced blend of comfort and strength. 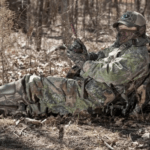 Whether you are out hunting in the woods or camping, these versatile pants are ideal outfits guaranteeing superior comfort and quality protection. The durability element of these pants stretches well beyond the tough material. Even in terms of stitching quality, these are exceptional. Double-stitching with bartacking at Major seams is the hallmark of these 5.11 Tactical Ridgeline pants. This ensures that there is better protection at the individual stress points and the chances of the trouser ripping apart at the seams are much less. 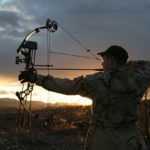 This is particularly important if your hunting trail involves a lot of climbing around. That apart, this trouser also comes with a fully gusseted crotch. In terms of storage space and excellence in user comfort too, these pants deserve a special mention. The pockets are reinforced with nylon, and this is equipped with YKK zippers. There are additional pockets for better storage of essentials. 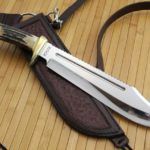 The front pocket also comes with a Cardura Knife reinforcement enhancing the strength. The Teflon finish on the pant fabric is an additional benefit. 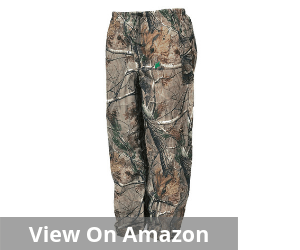 It is resistant to moisture and stain and enhances the overall utility and functionality of these hunting pants. Click here to see the best price. Fitting around the crotch contours not great and can significantly hinder the comfort element, especially if you are on a longish hunting trip. So choosing the best hunting pants can be a daunting task. Even if you already know what to wear. From the material to the fit, it is one long circuitous route to comfort and convenience. The trick is often about maximizing comfort without stretching your budget too much. This is only possible when you pay attention to several minor details and make sure you know about the final product inside out. That way, you will be able to extract better value from every buy. You will be in the out for an extended period. 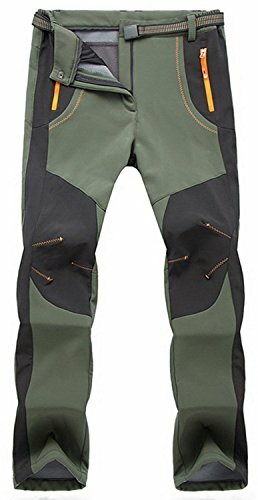 So when you are looking for the best hunting pants, it goes without saying that you will have to look for ones that offer you the best possible protection against the cold and the wind. Never underestimate the power of these two. 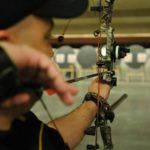 Often, more than dangerous animals or insect bites, it is the cold and the intensity of wind that overwhelms a hunter. So, you have to wear protective gear to avoid that. 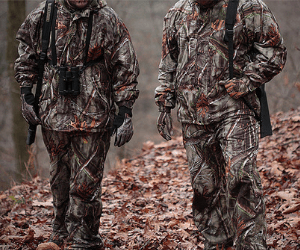 Be it your jackets or hunting pants, they need to be absolutely resistant to the weather. 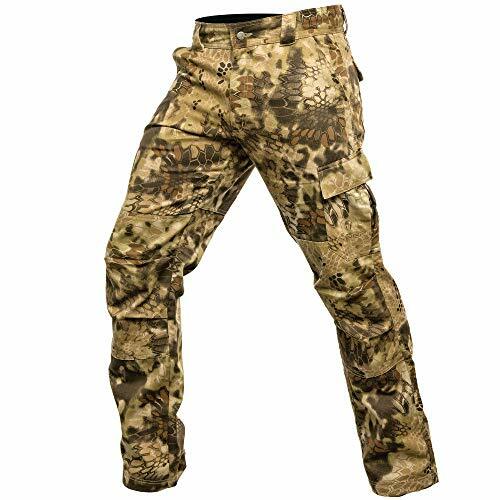 Anti-abrasion is another key requirement for the best hunting pants. You must remember that you will not be walking on a bed of roses. It is more a garden of thorns. You have prickly bushes and all types of insects crawling around. Make sure you buy pants that are able to sustain this onslaught and offer you maximum protection. If your pants tear, then your bare skin is exposed to nature’s fury. You decidedly do not want that. The best option, therefore, is to buy materials that will avoid such situations and offer you 100% protection against all adversaries of nature. Dew and ground moisture is something you can’t beat on a hunting trip. But when it makes your pant hemlines wet, it can add to your misery significantly. Conversely, you cannot even choose smaller pants. So the next best solution is to opt for pants that are moisture resistant and don’t get wet. In that way, you will be able to navigate the long grasses and bushes in a more successful manner. The water-resistant pants will also ensure that you are prepared to tackle sudden showers if they happen. The moisture resistant materials offer you protection and make you comfortable even on damp days when it is pouring. 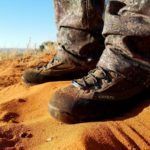 Thus it goes without saying that the best hunting pants are decidedly the ones that are sturdy and robust and not made from the flimsy element. When you are out in the wild, you are exposed to nature’s fury. 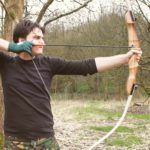 In that context, a durable hunting pant can offer you a significant amount of protection in tackling the many wild elements of nature quite boldly and without encountering any injury or potential problem. The strength of the pants also ensures that they will last longer and your incremental expenses in maintaining these are far less. Last but not least; the fit of the hunting pants is very important. You may have one made of the finest material with all types of features and comfort, but if it does not fit well, it is no use. Look for stretchable elastic or belt support at the wait and see how your gait is affected while wearing it. Are you able to walk comfortably wearing these pants? Check for the fitting around the seams and the joints. Are there chances of ripping apart if you stretch? 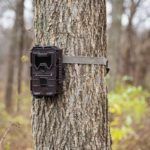 All of these factors go a long way in delivering great comfort and convenience while hunting. 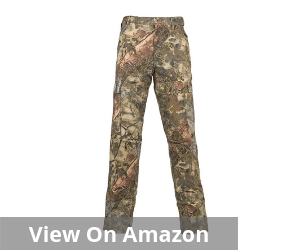 I am sure looking for the best hunting pants was never going to be easy. But when you have this handy buyer’s guide with you, I am sure your task is a lot easier. Forget about painful research after rummaging through dozens of pants. All you need to do is refer to our list and order the one that best suits your requirement and budget too. 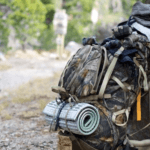 We promise all our readers the shortest route to the best bargains and most compelling value buys using our comprehensive buyer’s handbook on the best hunting pants.